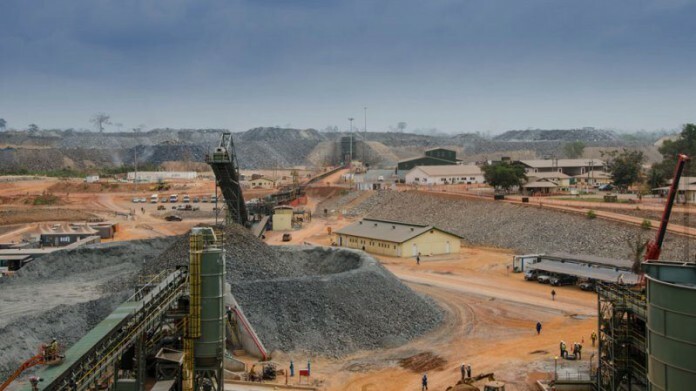 ASANKO Gold kicked back against a report which said the company’s Asanko gold mine in Ghana had flawed geology and that it would require it spending up to a further $115m or run out of cash flow by 2018. “Spending the money likely means AKG (Asanko Gold) will run out of liquidity in 2018; not spending the money leaves the company without the cash flow to develop its largest deposit, Esaase,” said Muddy Waters Research. Muddy Waters Research is a short seller investment company founded by activist investor, Carson Block and focuses on business, accounting fraud and analysing companies with opaque businesses. In 2011, Block was rated in the Bloomberg Most Influential Thinkers 50, largely based on his work uncovering fraudulent practices among Chinese firms. The publication of Muddy Waters’ report on Asanko on May 31 triggered a 31% decline in the shares of the New York-listed gold producer which in turn provoked a response from Peter Breese, president and CEO of Asanko. “The short report has no merit and our upcoming Expansion Definitive Feasibility Study will be itself provide a complete rebuttal to Muddy Water’s technical claims,” said Breese. Findings of the study will be published on June 5 which Breese said would also make “… other information available to refute the non-technical allegations”. This is not the first time Asanko has been targeted by activist investors. Last year, K2 & Associates, a hedge fund based in Toronto, said Asanko had exaggerated the measured and indicated resources of its mine by a factor of two. In the cases of both Muddy Waters and K2 & Associates, the focus has fallen on the integrity of Asanko’s geological data. “There are indicia that some of AKG’s resources models have been ‘smeared’, which would cause estimates of their ore contents to be inflated. Management is outwardly assured and confident, but their behavior reeks of desperation and short-termism,” said Muddy Waters. Muddy Waters said the collapse of the west wall of the Nkran pit at Asanko mine would mean the company would have to spend between $75m and $115m, but Breese said steps had been taken that would ensure production rates. The pit bottom at Nkran contained an inventory of pre-developed ore reserves of 166,000 ounces of gold which enable it to meet its production plan through to the first quarter of 2018, said Breese. “We maintain our production guidance of 230,000-240,000 ounces for 2017, which we continue to expect will generate between $64-$77m in cash this year assuming $1,200/oz gold,” he said. Not only is Peter Breese and his team highly regarded in southern African Mining circles, but so are Asanko ‘ s independent consultants. Perhaps it is because they are Joburg based and African that they have attracted this smear?